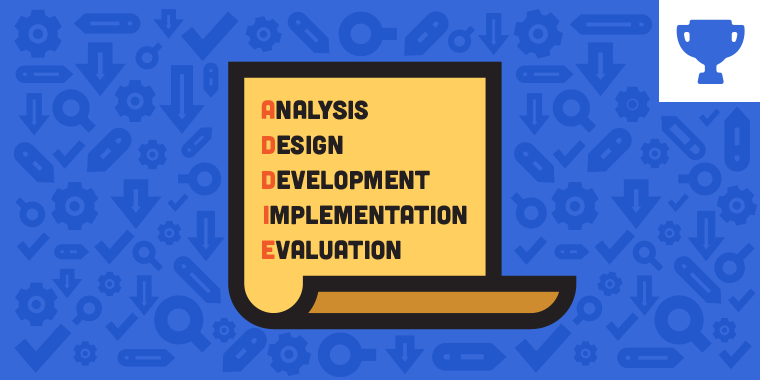 What Should E-Learning Designers Know About the ADDIE Model? While it’s trendy to dismiss ADDIE as outdated, inefficient, and inflexible, there’s no denying that it remains the most popular model used by instructional designers and training developers. ADDIE is the foundation for most instructional design models. 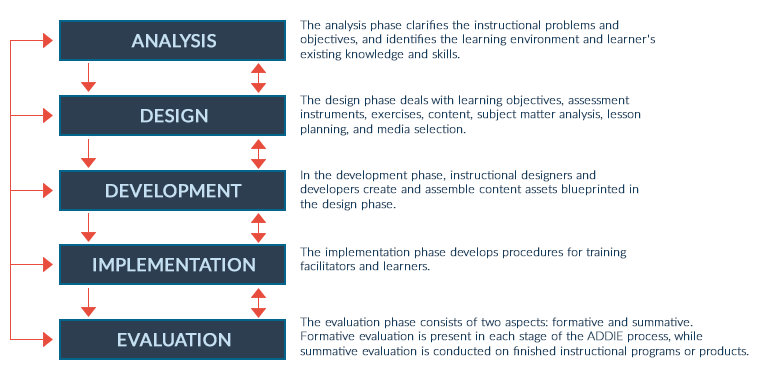 ADDIE gives instructional designers a roadmap for designing training. ADDIE wasn’t intended to be so literally applied. ADDIE’s flexibility allows designers to modify the phases to adapt to the organization’s requirements. Modified models include the PADDIE, where the “P” phase is the planning phase. When you’re first getting started in e-learning, models like ADDIE are essential for guiding you (and your team) through the course design process. Then, as you gain more experience, you’ll likely seek out more iterative approaches that allow you to design and develop at the same time. Whether you’re using ADDIE, another model, or a combination of models, you should feel comfortable speaking to ADDIE’s strengths and weaknesses. And that’s what this week’s challenge is all about! 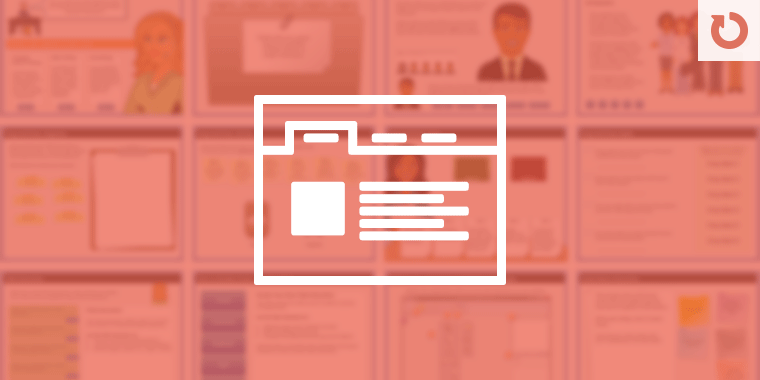 This week, your challenge is to design a short demo, quiz, or interaction to help course designers learn more about the ADDIE model. Here's my contribution to this week's challenge. I put together an interactive timeline of the History of ADDIE. http://meaghanlister.com/2016/08/14/elh140-share-your-interactive-addie-models/ Please feel free to leave comments on my website. You can also download a copy of the source file from my site if you are interested. Nice interaction Meaghan, you're on fire with the challenges! Thanks Linda. I do not have any students at this time of year so it leaves more time for fun. Hi Lynne, I like the way the ADDIE at the top changes states as you move over the steps. I think "ADDIE" is missing in the title of the challenge (it says "should know about the ?" at the moment). Thanks Maija - I don't know how that happened but I just updated the title. Beautiful animations and zooming Maija. I love the red, black and white. Amazing look Maija! Which font you are using? Thanks, Saurabh! The font is Century Gothic, except for oversized letters - those are Open Sans. Lovely flat design and animations Maija! Great tabbed interaction Linda. I really like the icons and the colour gradients. Wonderful Linda. Loved the bright colors . I like the tab interaction Linda! Nice! I like your creative contribution Linda. Nice idea Dianne, I like the animations. Great use of states & I really like the dialog box Dianne! Hola, ADDIE is surely one of the most widely used model though people are jumping on to SAM and Agile these days. I am sure every designer is acquainted well with it so i focused on PADDIE + M which is the United States Navy version of ADDIE. This is as simple as it gets: http://s3.amazonaws.com/tempshare-stage.storyline.articulate.com/sto_1aq99nmma1hv34d1rdrmbpf7v9/story.html Use chevron arrow to navigate! Thanks. Nice one Ashi...Went through the whole conversation and understood PADDIE + M. The timing of the captions were perfect. Hey Ashi, that was a very engaging way to explain PADDIE + M.
Very cute Ashi! Nicely done. nice idea about the dialogue. HI All, I bent this challenge to something I've been wanting to create anyway, a crossword puzzle! Feel free to play there are a couple of extra words in there too :) demo: http://chilp.it/5133690 source files: https://drive.google.com/folderview?id=0B7bl0m0sLvr6U3lIeTBmUUxDRkU&usp=sharing Weirdly I noticed when executing java script Storyline does not like a string"v" on its own it always changes it to upper case I don't know if that's a bug? Nice idea Carlene. It might be helpful to label the boxes so that it's easy for the viewer to tell where 3 down, or 4 across is. Beautiful dotted line transition Liliana! Thank you Carlene! It's fascinating how some simple transitions can make the content more dynamic. I just realized I should have also set the player to "scale to fill browser window". I will do the changes tonight. Nice use of transitions Liliana. Fab graphics & animation Amar! Very nice Amar. I bet this could be easily recreated in Storyline. Visually attractive, it reminds me of paint chips. Nice one Mushtaq...Neat and precise. Thanks! Carlene, Linda & Ashi. It's good to see you back in the challenges, Amanda! I like the way the letters rise to meet the definitions, nice entry. Thank you. I read an article about copy and pasting an animated shape into a state so I wanted to try to implement that here. I love the look of this its a very nice design! Picture backgrounds scare me, I tend to go with white because I often get it wrong but this looks fantastic! I love picture backgrounds, use them whenever I can. Mostly it helps me bring in a visual elements without giving it too much clutter to the slide. Hi, Everyone! here is Fastercourse entry for this weeks challenge (texts come from wikipedia): https://dl.dropboxusercontent.com/u/16791410/Fastercourse%20demo/Storyline/Challenge_ADDIE_19.08.16_11.30/story.html Hope everyone is having fun with this week's challenges. Wow....This looks beautiful (First adjective that came in my mind). Animations are neat. Great job! Beautiful elements and movement Karlis. I was groovin to that PADDIE Jam! Hi Dyuti, cooking is a really excellent analogy for ADDIE that really helped me focus on the content, and gave me a new way of seeing the ADDIE model.